I must admit that when I got this one in the mail I had absolutely no clue what to expect. What the heck is Dr. Cosmo's Tape Lab? Well, it's a band that creates a lot of chiming pop tunes despite what this package looks like on the outside. Beyond The Silver Sea is a concept album but, as I'm very happy to report, it's a positively tuneful one. Largely the work of Joe Kane (The Owsley Sunshine) and Stuart Kidd (The Wellgreen, Poundstore Riot with Derrero's Ash Cooke, BMX Bandits, and the drummer on that awesome Jonny album from Teenage Fanclub's Norman Blake and Euros Childs from Gorky's Zygotic Mynci), Beyond the Silver Sea by Dr. Cosmo's Tape Lab is a trippy delight and an awesome collection of some sublime indie pop. Yeah, the lyrics of "City and the Stars" are all sci-fi tropes but the tune is pure Hollies goodness. "In Lieu of Something Better" takes the power pop joys of the first Cast record and puts them in the service of the concept album's overall story but the tune stands well on its own. The bossa nova beat of "Time Enough for Love" recalls, of all bands, a gentler tune from The Association even as the lyrics further the story of Beyond the Silver Sea. Elsewhere, there's a hint of High Llamas on stuff like "The Stars My Destination" even as the record closes on the gentle title cut which mixes the very best sorts of things that The Bluetones and Teenage Fanclub did so well into something new and lovely. 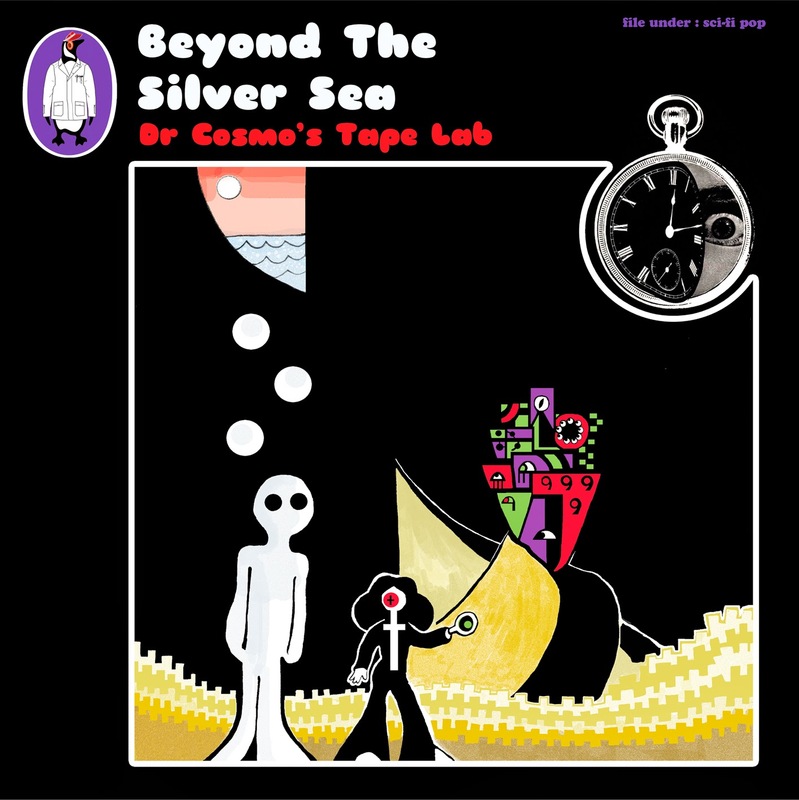 Beyond The Silver Sea by Dr. Cosmo's Tape Lab is a delightful album. Enjoy it as a throwback to an earlier, trippier, era where a concept album could hold the key to enlightenment, or simply enjoy it as a collection of some of the best indie pop you're likely to hear in quite some time. Beyond the Silver Sea by Dr. Cosmo's Tape Lab is out in a few weeks on Sugarbush Records. You can find out more details on the official website for Dr. Cosmo's Tape Lab.